Early March is known for stormy weather. Notorious examples of this on the Outer Banks are the Ash Wednesday storm of 1962, the hundred mile an hour blizzard northeaster of 1980, and the 1993 white hurricane that brought substantial flooding. This year back to back northeasters took yet another bite out of the island. Route 12 was highly compromised in several spots, and weather conditions were generally cold, windy and wet. Rather than documenting it with my camera, I spent much of that time painting the walls inside my studio. At one point, I peered outside as rainy skies cleared about half an hour before sunset. Anticipating dramatic light, I took the hint to grab my Nikon and head to the beach. 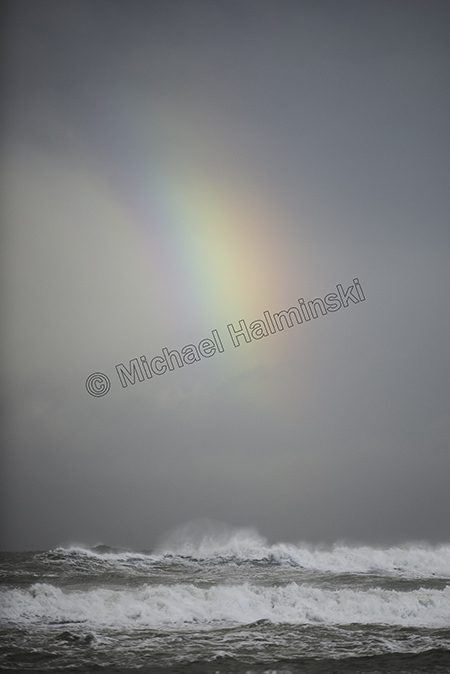 I was rewarded with a brilliantly lit sea under a colorful rainbow. 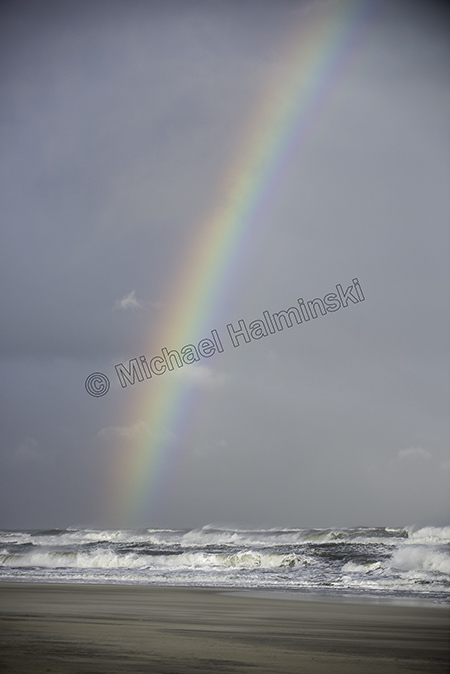 I had a 20mm lens to shoot a turbulent ocean framed by the rainbow. I couldn’t resist shooting the ends with a 200mm lens. The telephoto effect brought the seas closer for impact. As the light dimmed, I caught one last glimpse. 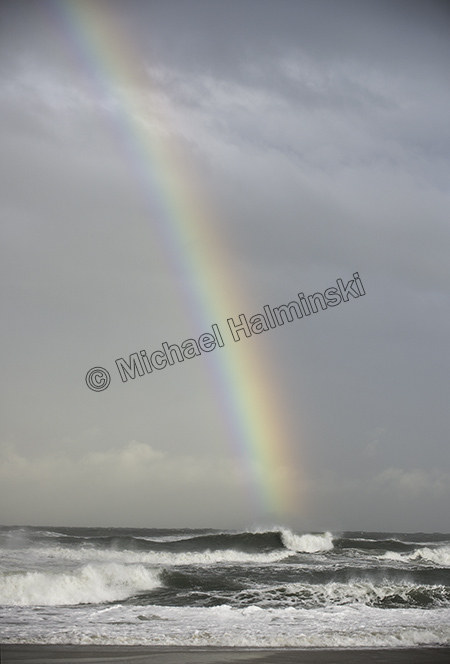 With the perceived negative aspects of coastal storms, there are always some gifts that come with them. 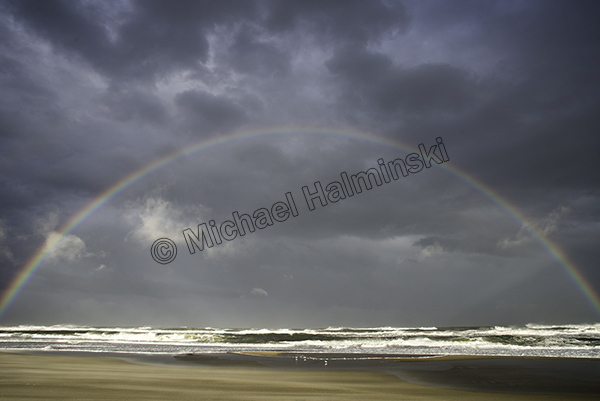 This entry was posted in beach, Outer Banks, storms, Weather on March 16, 2018 by j0jgvm89bj.